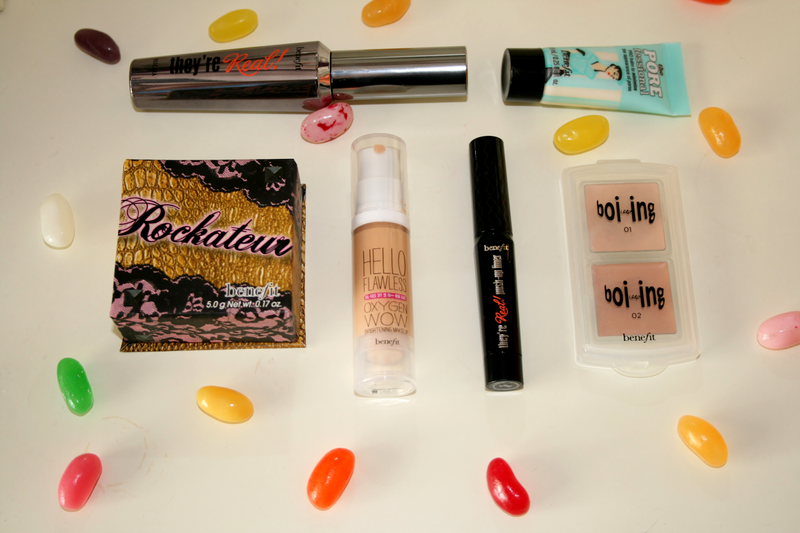 Oh I do love me some Benefit cosmetics in my life. Benefit is my absolute favourite brand however sometimes some of their products do sadly disappoint me but that doesn't change my love for the brand. Here are some products I love and well not so much love. Enjoy! ~sings~ yeah yeah..holy grail! This mascara is amazing. If you have no lashes,or lashes that lack volume or length this is amazing for making it look like you've 2 pairs of false lashes on. I adore this, yes it's on the pricey side but it does one hell of a job so I don't mind paying out the money for it. This is a forever repurchase for me since it has been released! Oh my god, this blush is the single most beautiful blush I have ever laid my eyes on in my life. It's a rose gold colour (and you know I love me some rose gold) and it smells amazing!!!! I have not gone a day without wearing this since owning it, it is absolutely beautifully presented in its packaging but it is even more beautiful on your cheeks. If you're looking for a new blush try this at least swatch it and I guarantee you will fall in love! Ok firstly this one I got in the 'How to look the best at everything' and even though it was the light kit, this foundation was orange on me (damn you snow white skin!). Other than the colour I did really like this foundation. It didn't feel too heavy on the skin and it gave good coverage, however I find that if you have any dry patches of skin it tends to stick to it which isn't a great look. Other than that I do like this foundation and I probably will buy the full size in a way lighter shade eventually. I wasn't the first to get this even though gel liner is my favourite. I just felt like it was kind of a rip off because really how different is it than using a tub of gel liner and a winged liner brush well let me tell you....? I don't want to say too much about this as I am currently writing a review on it so keep your eyes peeled for that! I was never one for concealer as I'm lucky enough to only suffer from the odd spot now and again however I have started using it under my eyes to just brighten them up and I do like this one. Would I buy it in full size for the price? Probably not because yes it doesn't crease and lasts quite awhile I do find that some cheaper brands do the exact same and have good staying power so as much as I do like this it's not something I'd be running to buy. Have you tried any of these products, what are your favourites? 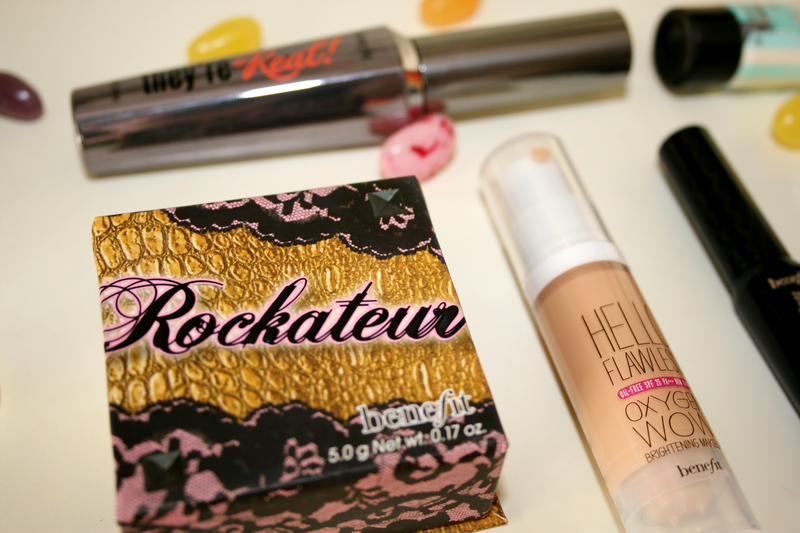 I love the rockateur blush too! I love Benefit products but they can be quite pricey at times. You should try out the Coralista blush , it's gorgeous on the skin! I've never used any Benefit products, but my usual mascara's drying up so I might have to give the 'They're Real' mascara a go! I've got the mascara too and I love it! I really want to try the foundation! I love they're real mascara and the blushes, they are amazing! 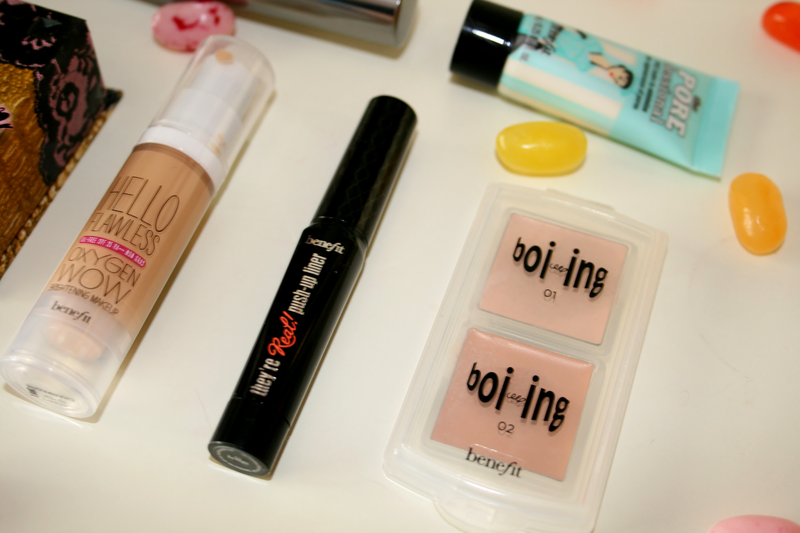 I dont own the boing concealer, or the They're Real Push Up liner. But I think I definitely need to add themn to my collection now. I love Benefit to the moon and back, they're my favourite!